One real God, one real Savior. He’s the God who hung on a cross for our sin. Today, make a decision to move beyond a religion ABOUT Jesus, to a love relationship WITH Jesus. Move from just believing things ABOUT Jesus, to really BELONGING to Jesus. What you decide to do with Jesus this very day can decide your eternal fate, because Jesus is ALIVE. He walked out of his grave after he DIED for YOU and can walk right into your life today. What an opportunity this is right here, right now, in the privacy of your own home. 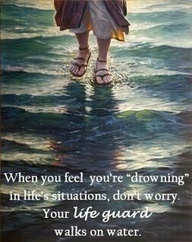 He will come into your life RIGHT NOW! If you’re not sure you have a personal relationship with Jesus Christ, I urge you: Receive Him TODAY. The Cross is our reminder of Christ’s sacrifice for our sin. Jesus is no longer on the Cross, only a reminder. The cross still stands, proclaiming that God still loves me even when it’s too dark to see His face. The cross is there, assuring me that I am forgiven when the guilt and the regret are trying to drag me into a dark pit. 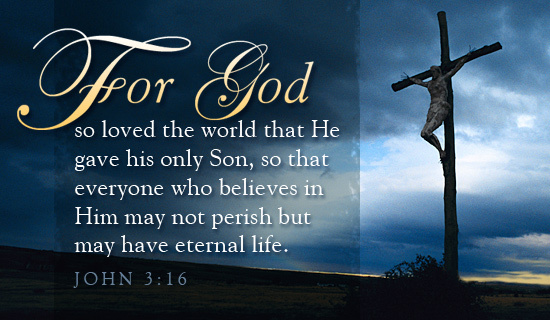 I thank you Jesus for dying for me and giving me eternal life. Amen. If you say this prayer and mean it with all your heart, you are born again. "Now that you saved, what's next?” You need to get into a bible-based church and study God's Word. The Lord Jesus Christ has redeemed you! The price was His death on the cross. Click Here: How to receive baptism in the Holy Spirit.